Our sponsor for this post. He likes dead stuff. 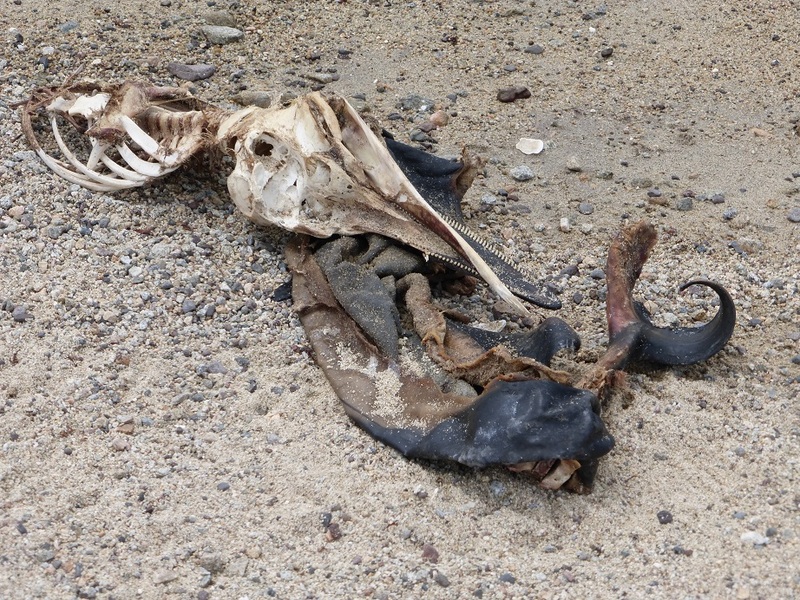 Proof that dolphins, like all mammals, are just bags of bones and some wet parts. The cartilaginous structure of a Mobula ray. No Bones. Wow. Another one bites the dust. Look at the tail – not worth eating, I guess. Straight six, automobile tires in front, a little blue paint. I’m guessing a Ford. 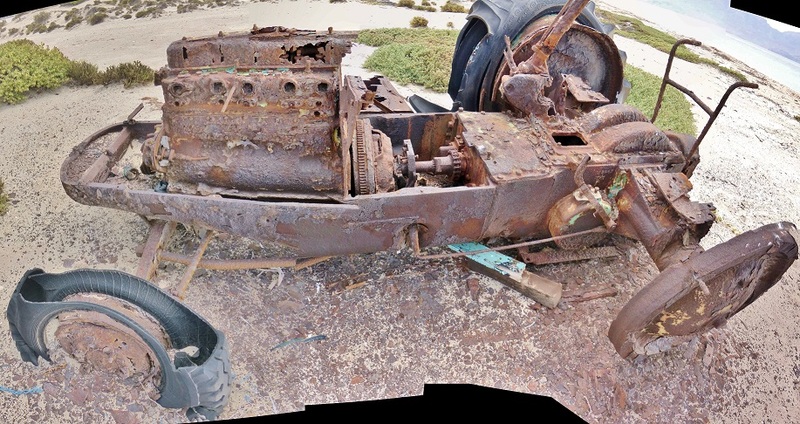 Found On Beach Dead. So a Fobd. 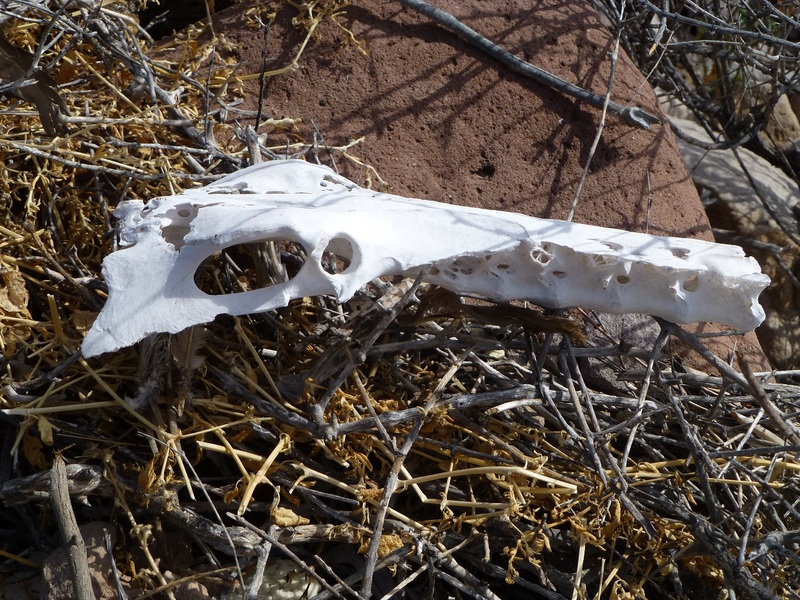 Pictures of bones and a coyote. 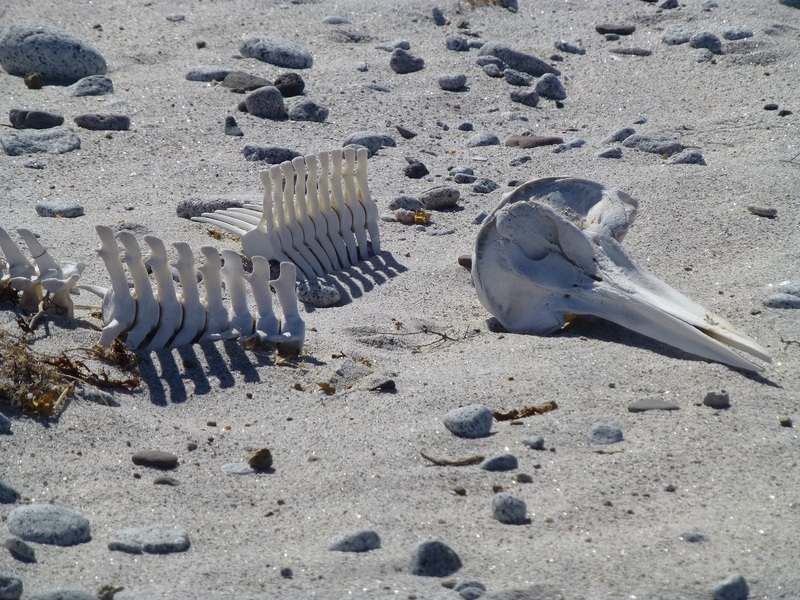 We see a lot of dolphin/porpoise skeletons. 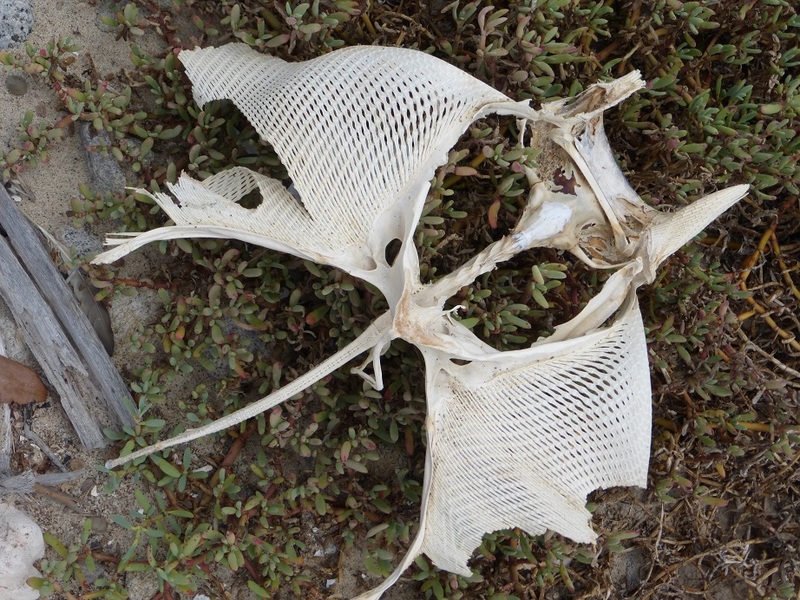 I think they float when they die, and their bones are dense enough to last a while on the beach. The one in the hat is Nancy. We’re pretty sure that the thing she’s holding is a whale vertebra. 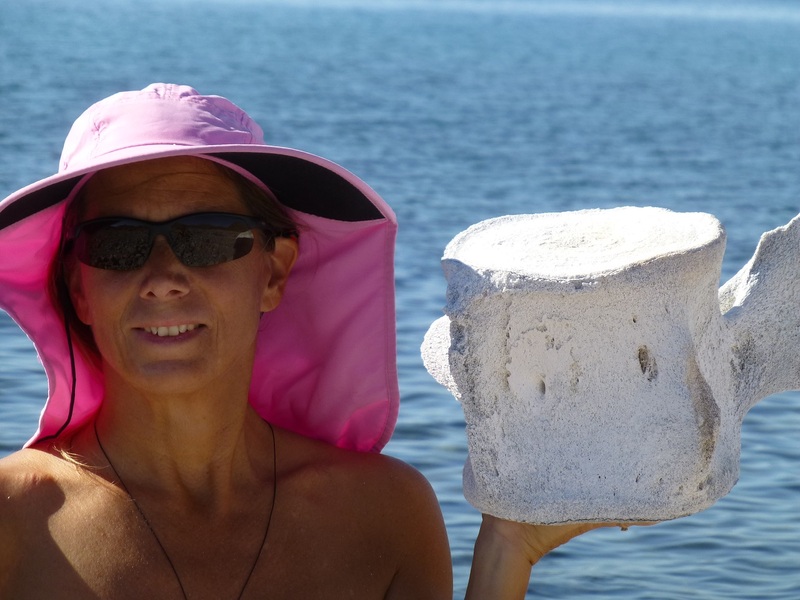 A very old whale vertebra – almost completely decalcified. We see these pretty often. The whale vertebra, I mean. Actually, I see Nancy just about everyday. So we see both of these pretty often. This we don’t see very often. We’re pretty sure it’s a Chupacabra skull. We were positive this was some sort of huge bird skull until we picked it up. It’s heavy. 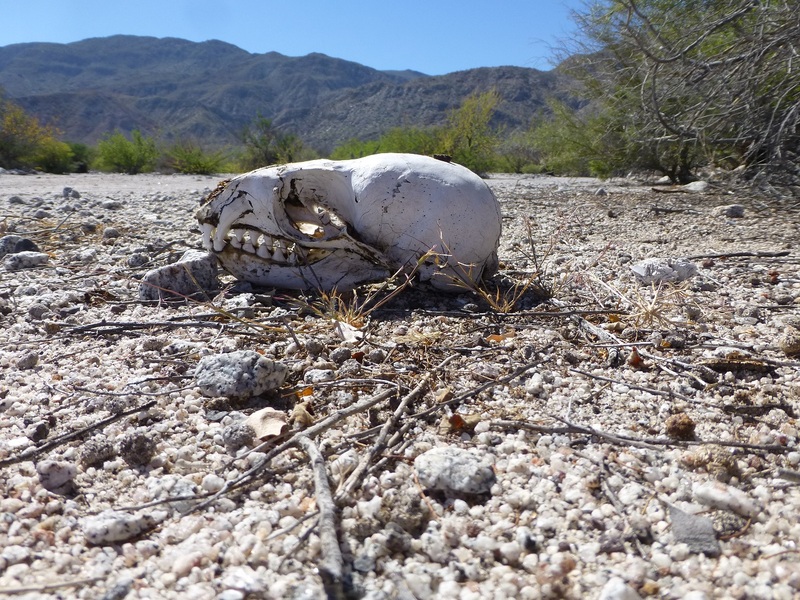 So this may be a Chupacabra skull, not the other one. 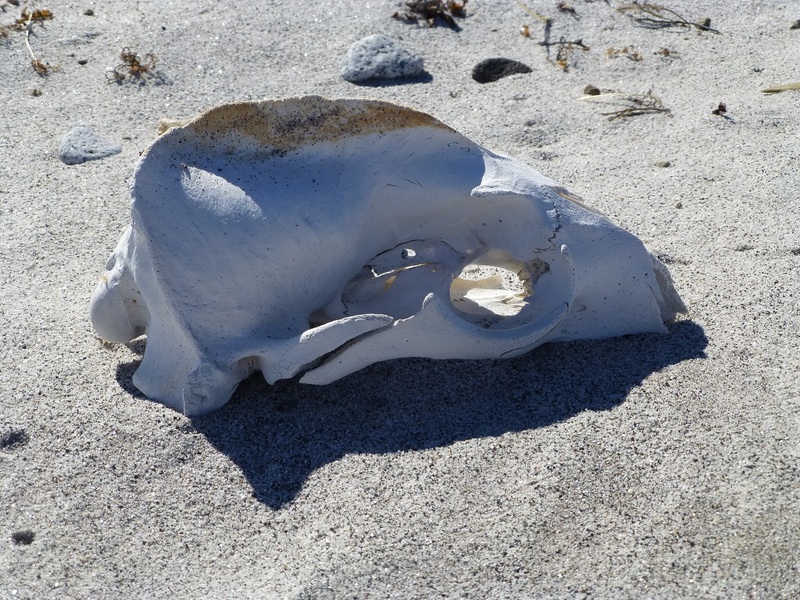 It’s pretty obvious that this is a canine skull, until you look at the over-enthusiastic canine development and realize that this is either a Sea Lion or, in fact, a Chupacabra. 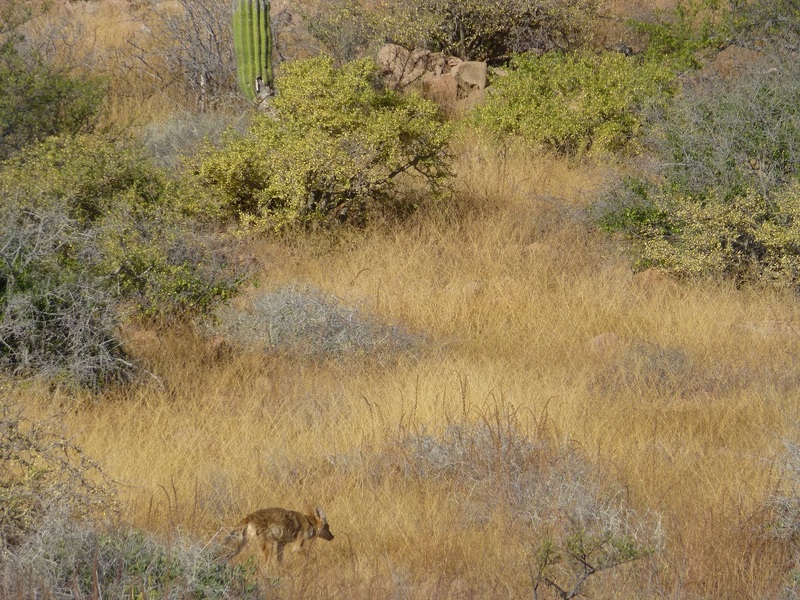 This is a coyote. You can tell because he’s skulking. Off to find his ACME catalog. The bottle-brush he’s using for a tail is a pretty good hint as well.